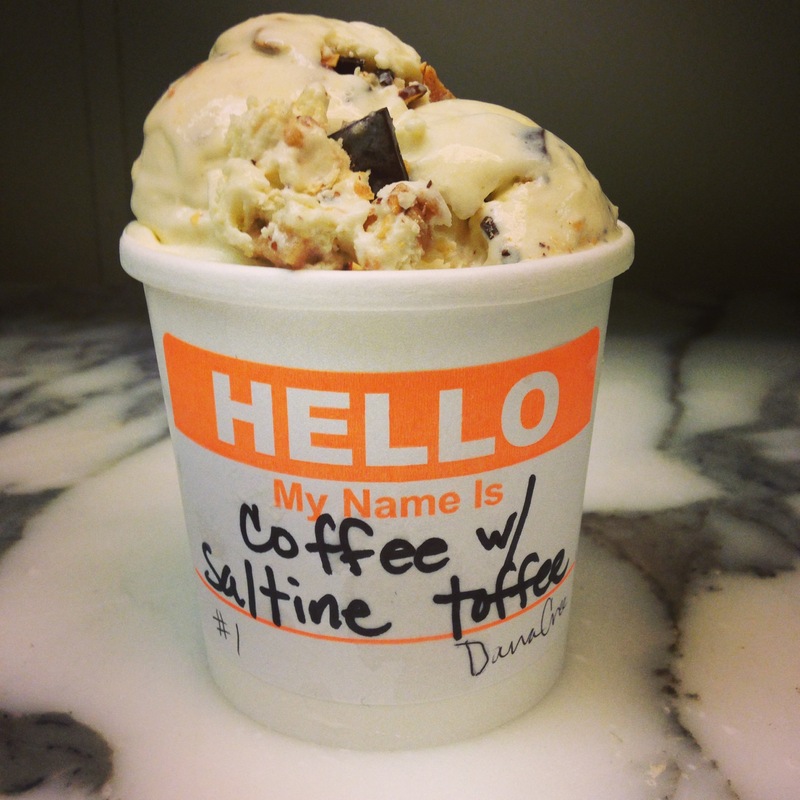 Our cold press coffee ice cream was given a salty sweet upgrade with shattered chunks of saltine toffee. A small obsession was born after tasting the saltine toffee Nicole Plue makes and sells online, and I set myself to recreating the confection, a salty white cracker covered in butter crunch toffee and a layer of dark chocolate. This flavor will satisfy all of my fellow salty-sweet toothed kin, and those that reach for pints of the coffee heath bar crunch when in grocery stores.